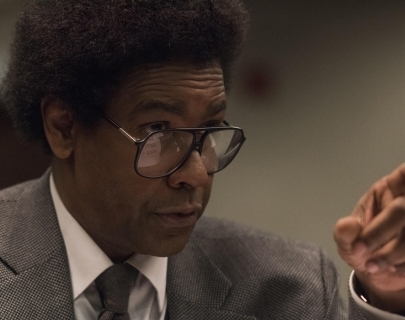 Roman J. Israel, Esq is set in the underbelly of the overburdened Los Angeles criminal court system. Roman (Washington) is a driven, idealistic defense attorney whose life is upended when his mentor, a civil rights icon, dies. When he is recruited by one of the legendary man’s former students (Farrell) and begins a friendship with a young champion of equal rights (Ejogo), a turbulent series of events ensue that will put the activism that has defined Roman’s career to the test.